Lenovo has been at IFA, the Lenovo ThinkPad Tablet 2 introduced with Windows 8, the 26th for 649 € from the Is available in October. 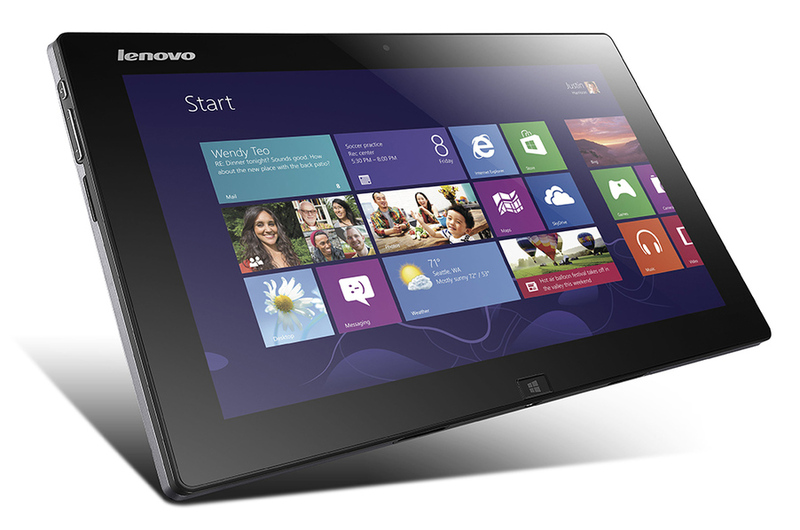 But next to the Business Tablet Lenovo is another Windows 8 tablet before. The Lenovo IdeaTab Lynx should come in December at a price of $ 599 on the market. For another $ 149, this is an optional keyboard dock that has two full USB ports, and an integrated battery. With the 11.6-inch IPS (400 nits) display and the keyboard dock, it is the class of the Asus Vivo Tab , which is also equipped with an Intel Clover Trail processor. The Lenovo IdeaTab Lynx and the accompanying keyboard dock consist largely of plastic. If you use the Lynx IdeaTab with keyboard dock you have to forego the Windows button on the tablet, as this is covered by a plastic cover. How far can keep up with the competition, the Lynx will be seen after the launch in December.